Where would you rather live? Lower Chautauqua or Newlands? Pine Brook or Devil's Thumb? Martin Acres, Majestic Heights, or Lower Table Mesa? I've sold homes in every neighborhood in Boulder. Twelve years ago, when inventory was high, my buyers could be very selective. Today, the optimal house shopping strategy is opportunistic. 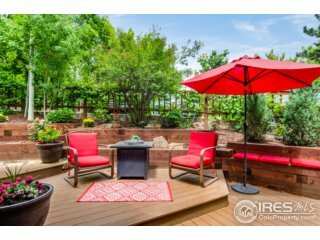 My buyers have found success by being open to possibilities in all Boulder neighborhoods, understanding key differences between locations, and considering each opportunity, as it arises. Ready to write your offer? Good. Now let's get ready for a bidding war. Just remember on thing: Because another buyer is willing to pay more, it doesn't mean you lost. Deep market knowledge, discipline, and responsiveness are the tactics I employ to help our clients make smarter decisions. It's how we closed 30+ transactions last year. This week, I've got several tasty options for you to consider - everything from luxury homes to student condos. Are you ready? Let's go see some houses. Remember: Just because I think it's worth seeing, doesn't mean I think it's worth buying - especially at the asking price. 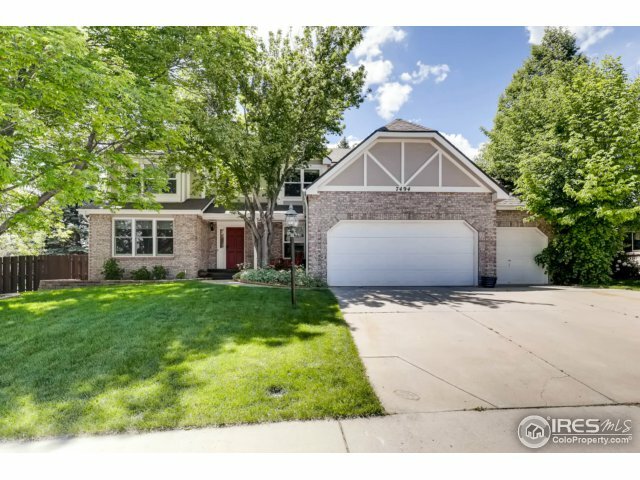 A discussion of recently closed transactions and market conditions. Shanahan Ridge is a neighborhood of mostly attached town homes, but there are a small number of stand alone houses. 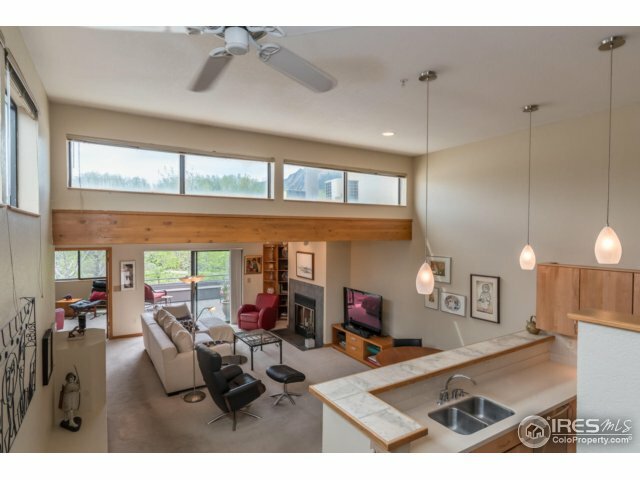 Directly adjacent to open space and features views? It should sell for a premium. I told you to go see this when it first hit the market (the Nicest link) because it was a value compared to its nearest competitor, 3230 Longwood (now withdrawn). The buyer almost certainly saw both and made a decision. Mr. Market always wins in the end. 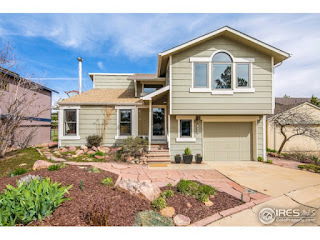 3807 Silver Plume sold for 10.6% over asking, $611/SF. Pro tip: It's important to review the most likely competitors before listing. I often invite our clients along to see the competition themselves. Not doing so can be an expensive error. A puzzler. It's a basic Table Mesa ranch with a few updates, well staged, and featured a kitchenette. It's also on a somewhat busy corner, which creates additional redevelopment restrictions (like two front yard setbacks). Not on a large lot. It still sold for a surprising 8.3% over asking. Yes, you can find deals, even in this market. Look past the poor photography. This house is almost identical to 1095 Edinboro (above), but without the updates and no kitchenette. It's south facing, in an better (certainly quieter) location. It was also available past the first weekend, which is why the buyer scored a small $10K discount from the asking price. I took our clients to see it and encouraged them to consider it, but in the end, they decided they didn't want a house that needed this level of updating. Now, if the long term plan was to remodel and expand, this one was a killer value. The odd looking house behind it was the only obvious detraction. Note: Martin Acre ranches without basements are now selling for more than $735K. See 170 S 32nd (link) for an example. What a steal! A handsome 3 story, 6,000 SF home nestled against open space in Newlands. 4th Street gets some traffic, but probably more bicycles than cars. It's on a popular cycling route. Open space in Boulder is like waterfront property. It's pricey going in, but appreciates faster in the long run - assuming the design of the home is framed around it. Other key value considerations are the indoor/outdoor transition, finish execution, features, and of course layout. The elevator is a nice touch. Although large, well finished homes are somewhat rare in this location, I'm doubtful it will fly off the market. Buyers in the $3MM+ range have lots of options (if they're patient and well advised). It's worth seeing. When a historic home is expanded and remodeled, it can be quite visually attractive but may not measure up to the expansiveness that's possible with newer construction. 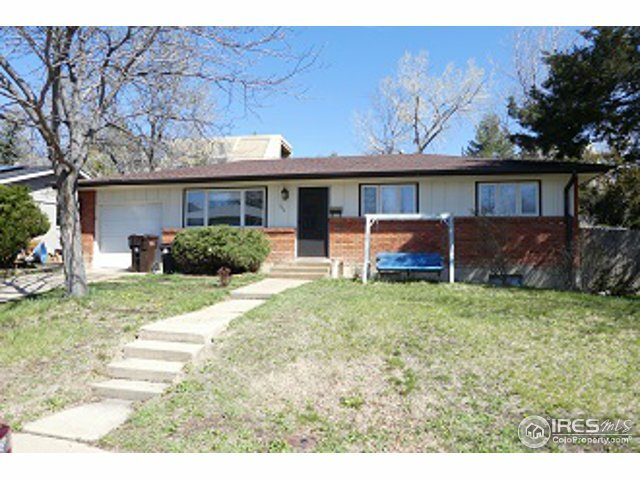 Buyers should compare to 3231 4th Street. The open space is a little further away and this needs more updating. Different locations, of course, but there are many perks to Lower Chautauqua. Downtown is further away but Chautauqua itself offers enticing culture and art opportunities. Small is beautiful. This lovely home is historic, updated and expanded to include outdoor living spaces and a studio above the rare three car garage. It's hygge but as with all historic homes, buyers should look carefully for wiring (knob and tube) and foundation issues - especially if cobblestone. Due diligence: This part of The Hill should be far enough from the student party zones to avoid the challenges (link) associated with living next to students. Your due diligence should include a red cup check in the recycling bins in the alley just in case. Like all neighborhoods, it varies block by block. To schedule a private showing, which includes dumpster diving in addition to a discussion of valuation, negotiation strategy, and market conditions, call Osman at 303.746.6896. I don't normally include refreshed listings, but the seller just slashed the price of this two bed, two bath downtown condo by almost 15%. I can't resist a bargain. It's reasonably sized and includes two parking spaces. Compare to the $/SF for other downtown options. 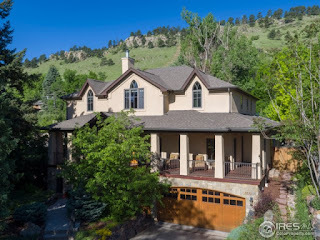 No curb appeal here, and subject to some traffic noise from Canyon, but if it has the Flatirons view to offset, it's worth considering the trade. Pro Tip: Talk to your broker (link) about market signals, the seller's equity position, how long it's been on the market, and the complete property history before you write an offer. There is no substitute for deep market knowledge. A corner house in Gunbarrel Green. Although only a few minutes to the Google offices, it's also in unincorporated Boulder County. Talk to your Broker (link) about the pros/cons of that before writing your offer. 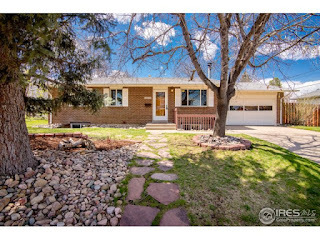 This one has a nice layout and has five bedrooms, four baths. 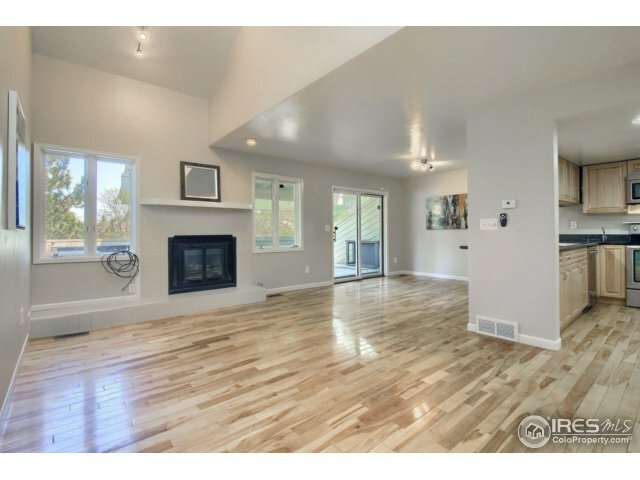 It's a moderately sized 4,000+ SQFT with some nice updates and built-ins. A key selling point for this home is the pocket park to the northwest. A dominant feature of homes in this development are that they're all narrow and tall, on small lots. This one has a conventional layout (bedrooms on the upper level, living space on the main, no basement). The two bedroom, three bath house was constructed in 2013, so the finishes are still relatively fresh. 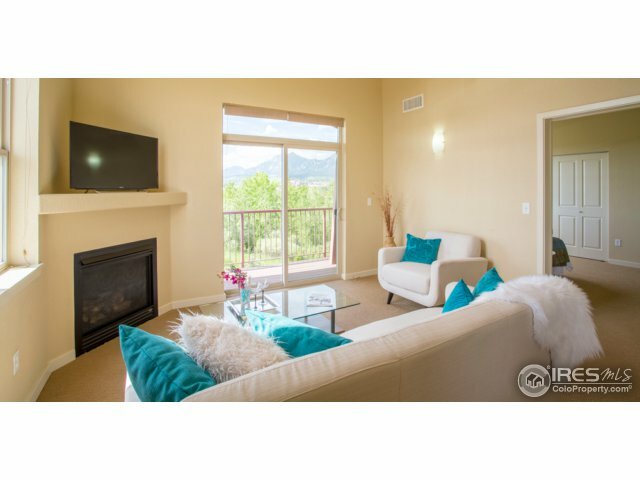 The trade for the lot size is that you have very easy access to popular Wonderland Lake Open Space. Compare to options at Uptown Broadway and the Holiday Neighborhood Due diligence: It sure looks open space to the west, but don't be fooled. The 6+ acre lot is actually owned by Foothills Community, LLC - a.k.a. 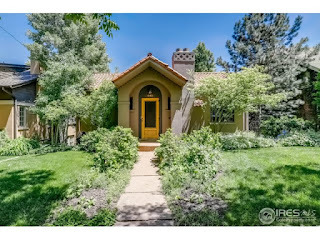 Boulder Housing Partners. If your agent fails to mention development risk when you're touring homes, get a better Realtor (link). It's hard to beat 2nd and Spruce as a location. 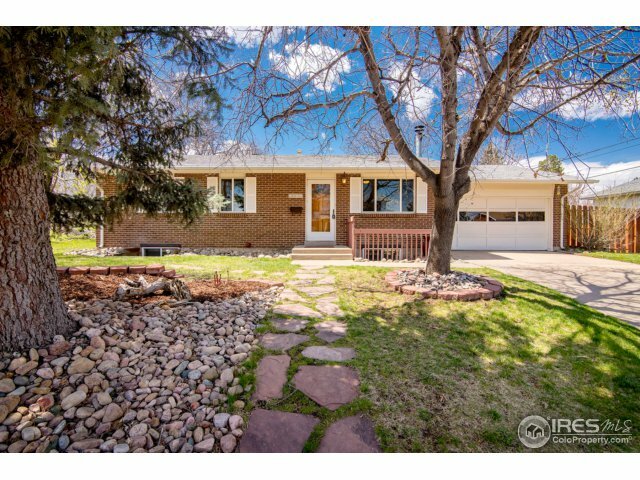 Three bedrooms, three baths, and a generous 1640 SQFT (1164 excluding the basement). At the asking, it's just over $450/SF and has a very reasonable HOA. 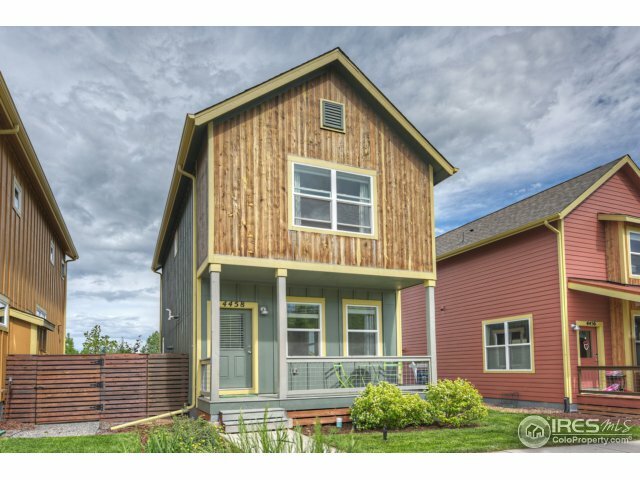 This shouldn't be on the market very long. Due diligence: As with most mid 70's vintage construction, don't expect great energy efficiency. Also, check for any issues with transients. If I were a Millennial working a tech or bio-tech company in Boulder, I'd want a place that was modern, with great views, and a central location. I'd also want nearby bike path access and a garage to store my bikes and outdoor gear. Having looked at hundreds of condos in Boulder over the years, you could do far worse than this one. It checks most of the boxes. Sure, there's a car dealership to the east but check out that view over the bike path. It will never get old, help attract tenants if when you move out, and speed appreciation should when you decide to sell it one day. A good CU student condo that should continue to benefit from the university's expected investment in the south campus. It looks clean and somewhat updated, one bedroom is non-conforming. Two car garage. Compare to options at Gold Run and Wimbledon. It's a flip! 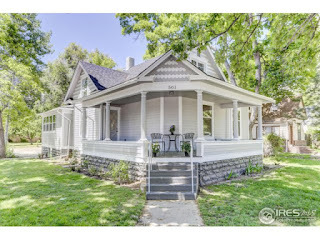 Excellent location in Old Town. Smaller but with a good layout. It looks like the investor went all in on the remodel. Check out the before(link) and after (link) photos. Due diligence: The train. No doubt, the Louisville market now easily supports +$1MM homes, but comps start to thin out at about $1.5MM. At $315/SF, this particular house might still present a value given it's premium location. Built in 2004, it features five bedrooms, five baths, and just over $5,000 SF. The lot size is reasonable, the layout is good. Finishes are likely original (14 years old). An interesting one to watch. 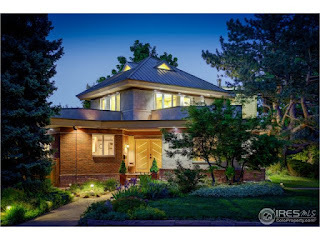 If you're considering a luxury home in Boulder, you should take a tour of your options in Niwot. The homes are large and well appointed, at least by the standards of the mid 90's when most were built. The historic downtown is charming, with a handful of respectable restaurant options and a few more in the retail plaza. 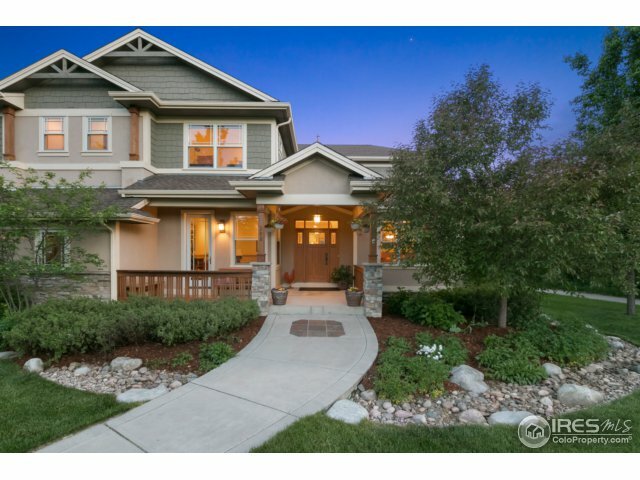 It's short, it's an affluent small town, with excellent schools, and a very efficient commute into Boulder. On the weekends, you'll probably find few reasons to drive into Boulder. This particular house checks a lot of boxes for a family estate, including well designed indoor and outdoor entertainment and living spaces. Due diligence: Buyers should be aware of the way the Niwot marketed reacted to the last downturn. 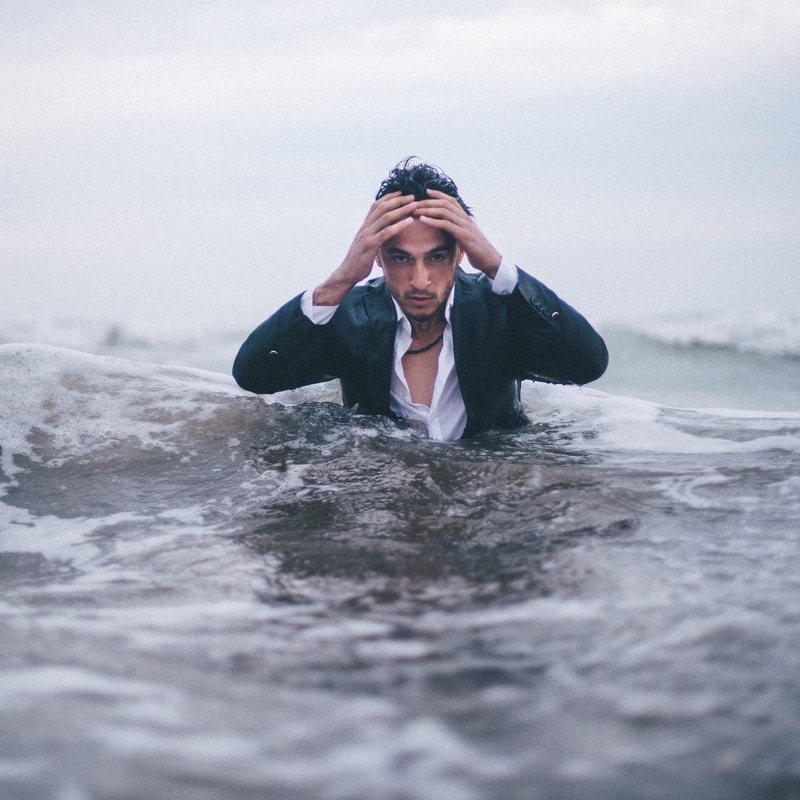 If your broker doesn't mention it, talk to one who was there (link). I take my fiduciary responsibility seriously.